The GR20 refuges are points along the way that you can count on for shelter, water and in season, food. You will come across one and sometimes two refuges per day. 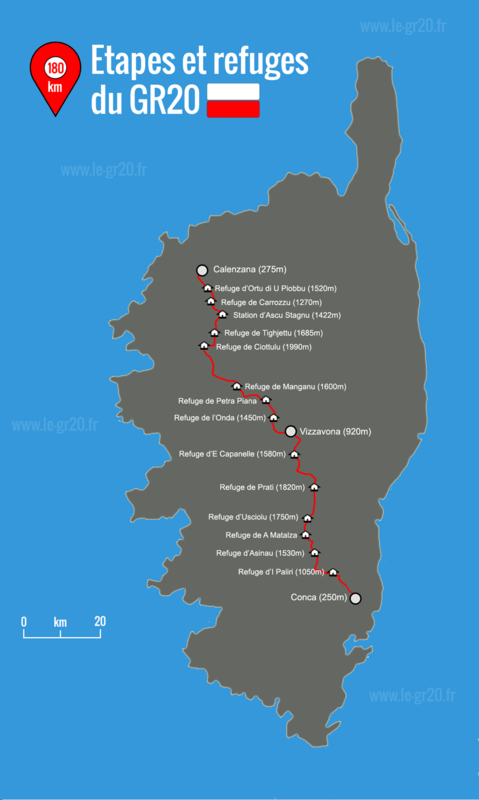 The refuges come under the regional Corsican natural park’s authority. As well as the refuges, there are private structures dotted about along the way. The refuges are managed by guardians, they start their season from the end May and they work through to early October. Outside of this time frame, the refuges are open but not manned and there is no food available. Obviously, there are certain times over the winter when there is snow and this requires a very special set of skills, experience and equipment to contemplate doing the trek in these conditions. You can always find a fresh water spring in the vicinity. You can buy food from their small shops, or you can book a hot meal and breakfast that is prepared by the guardian. This has to be reserved on arrival. 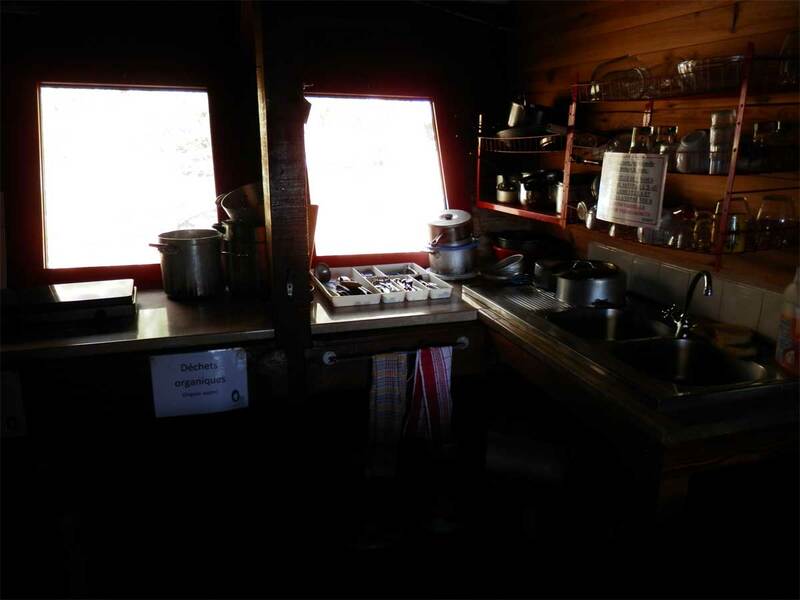 The refuges have an indoor kitchen and dining area with gas and utensils, there are also outdoor camp kitchens. You can buy a place to sleep inside the refuge, you can rent one of their tents/mattresses for the night, or you can just pay for a pitch if you are carrying your own tent. 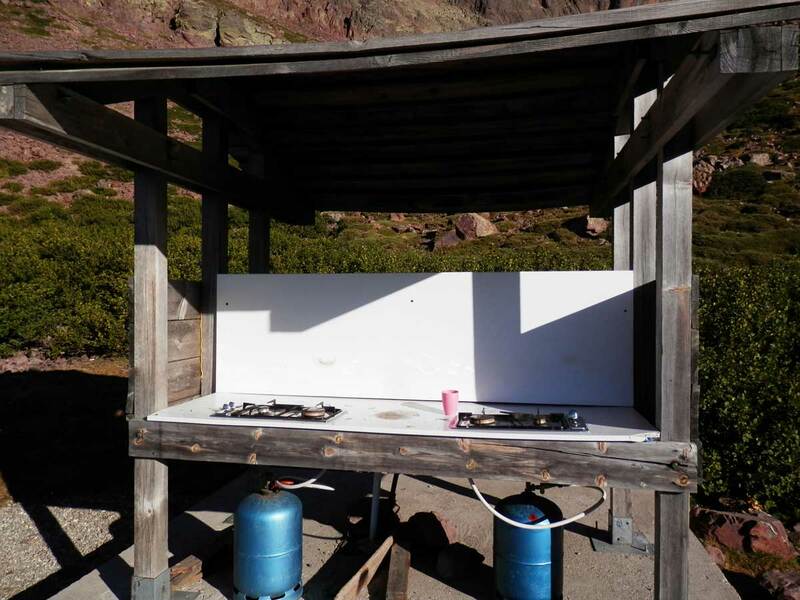 It is strictly forbidden to do any wild camping on the GR20. You must check into a refuge, or private accommodation. 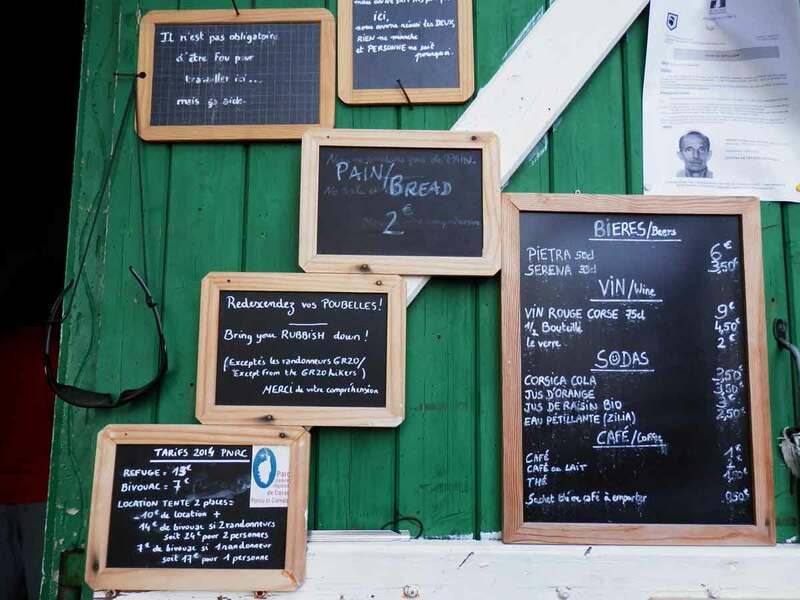 There are 3 nightstops along the GR20 where you might want to splash out and stay in a hotel. A firm mattress, crisp sheets, a proper night’s sleep and hot water. You will find various hotel and bed and breakfast options at Vizzavona. A super refurbished ski hotel at Castel di Vergio has comfortable rooms and is particularly well stocked with all manner of essentials. Finally, Haut-Asco offers great hotel rooms where you can really recuperate. Each refuge has a capacity of roughly 35 places inside. The mattresses are covered with a sheet but you need your sleeping bag. 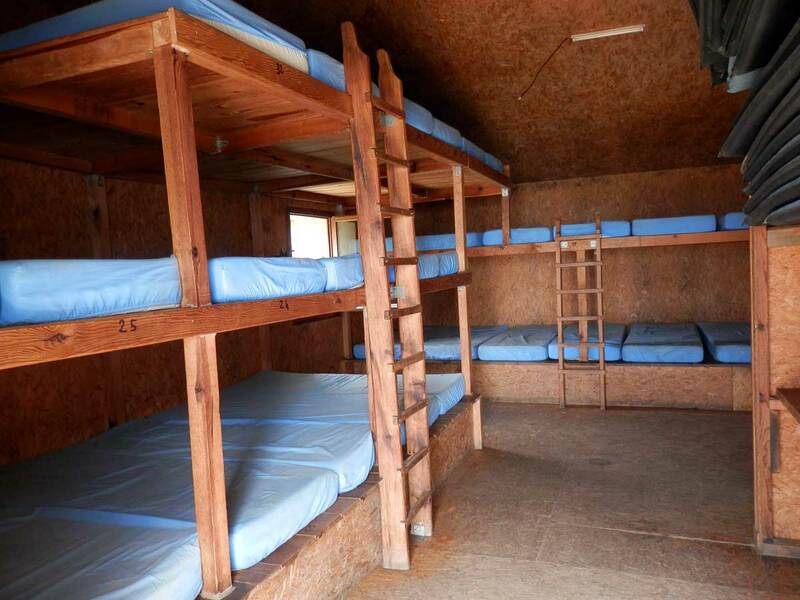 The cost of a night in a refuge is 11 euros per person. 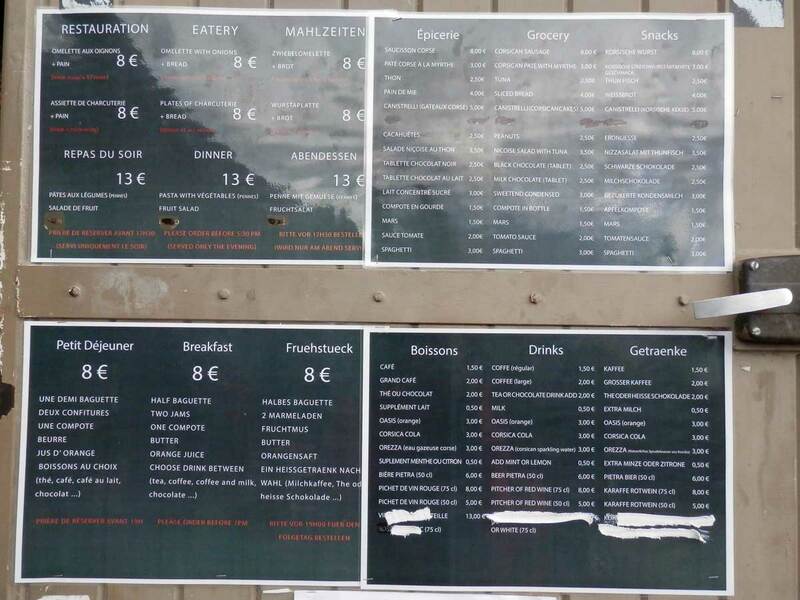 It costs 6 euros if you want to put up your own tent, or 10 euros if you want to hire one of their tents with mattresses. You can reserve your nightstops via the park website, or via a local agency. If you reserve via the park website you should print out your payment and reservation to give to the guardian on arrival. Alt 1520m. 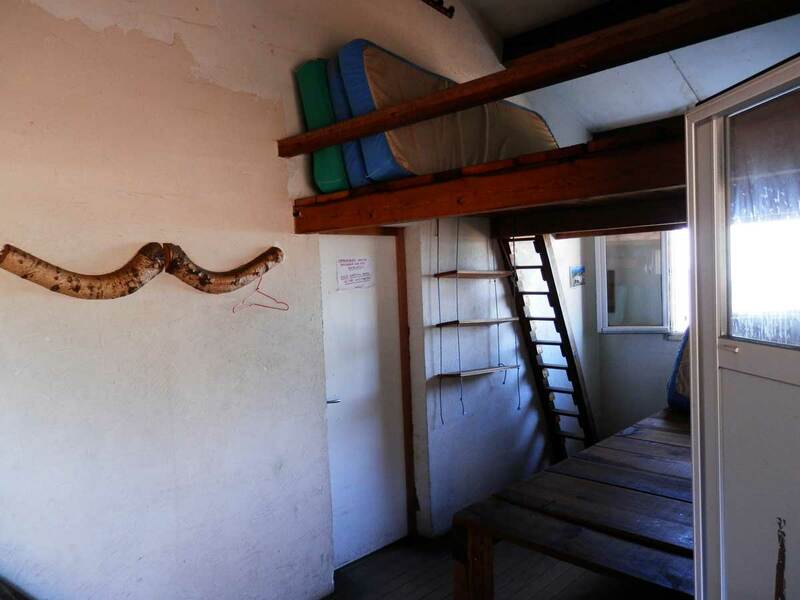 This is the first accommodation you will come across on the GR20 north when setting out from Calenzana. Alt 1270m. 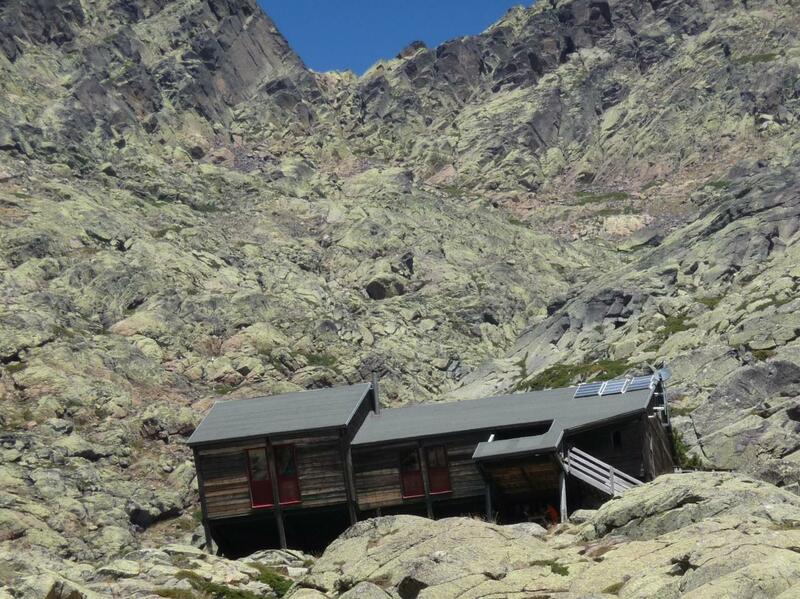 This is the second refuge on the GR20 north when setting out from Calenzana. Alt 1422m. This is the third accommodation you will come across on the GR20 north when setting out from Calenzana. 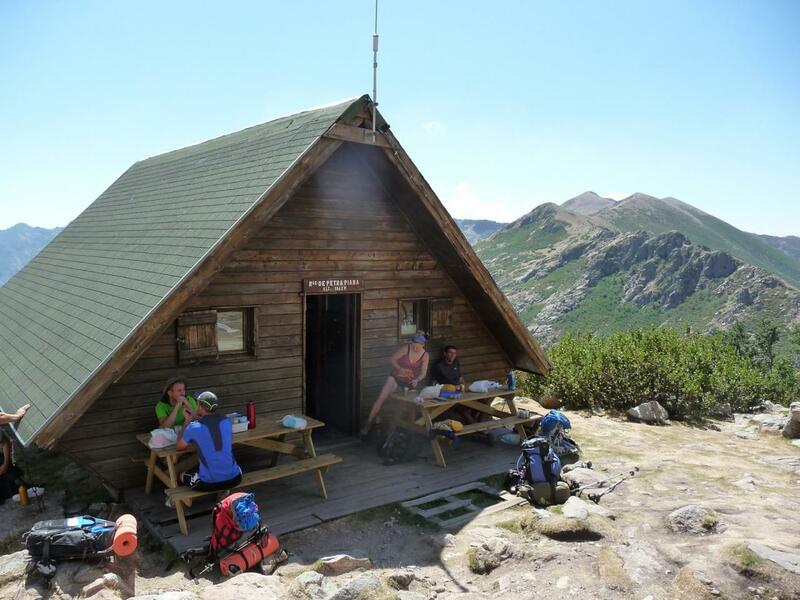 Tighjettu 1683m is the fourth refuge you will come across on the GR20 north when setting out from Calenzana. Alt 1423m. 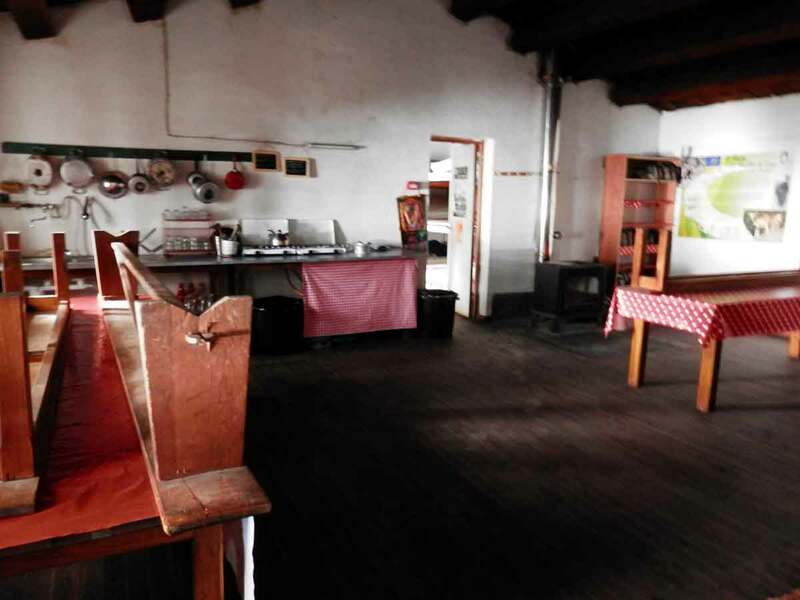 This is the fifth accommodation that you will come to on the GR20 when setting out from Calenzana. Alt 1991m altitude. This is the sixth accommodation you will come across on the GR20 north when setting out from Calenzana. Castel di Vergio is the seventh accommodation you will come across on the GR20 north when setting out from Calenzana. The eighth accommodation along the route, Vaccaghja is a half day walk from Castel di Vergio. Alt 1600m. This is the ninth park refuge that you will come to on the GR20 north when setting out from Calenzana. Alt 1842m. This is the tenth park refuge that you will come to on the GR20 north when setting out from Calenzana. Alt 1422m. This is the eleventh park refuge that you will come to on the GR20 north when setting out from Calenzana. This is the twelth step that you will come to on the GR20 north when setting out from Calenzana. Alt 1586m. This is a private gite and camping area is enthusiastically managed by Roger Philippe and Laure Maurizi they are a brother and sister team. Alt 1289m. This is the fourteenth accommodation that you will come to on the GR20 when setting out from Calenzana. It is a private gite, that has road access. Alt 1820m. 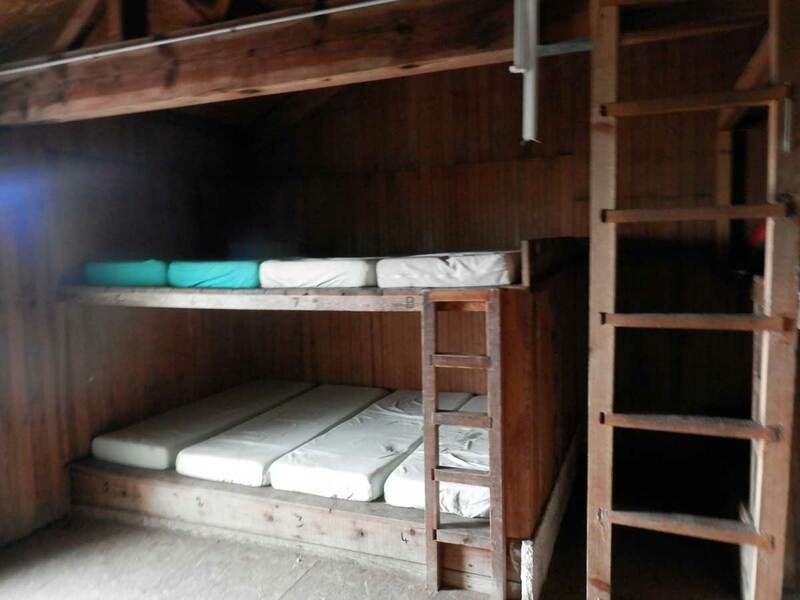 This is the fifteenth accommodation that you will come to on the GR20 when setting out from Calenzana. Alt 1750m. This is the sixteenth accommodation that you will come to on the GR20 when setting out from Calenzana. Alt 155Om. This is the seventeenth accommodation along the way when setting out from Calenzana. Alt 1400m. 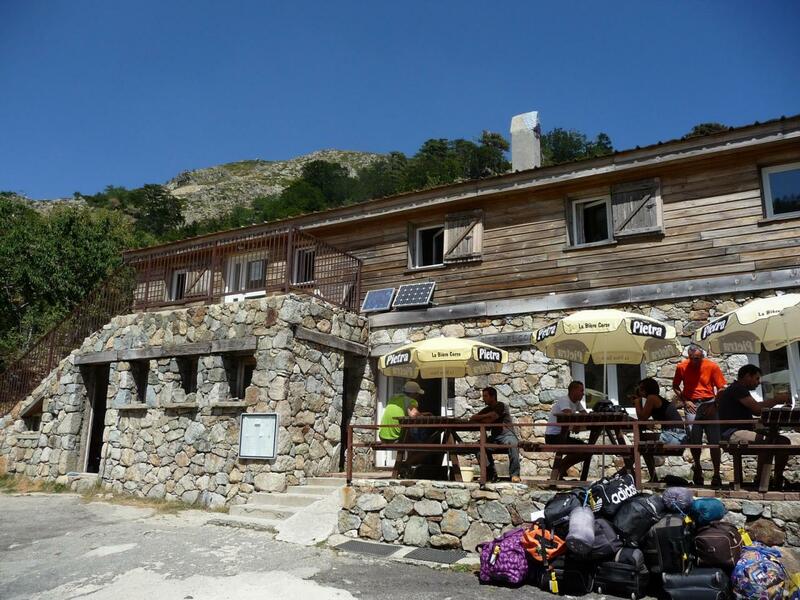 This is the eighteenth accommodation that you will come to on the GR20 when setting out from Calenzana. Alt 1218m. This is the nineteenth accommodation that you will come to on the GR20 when setting out from Calenzana. Alt 1055m. This is the last one on the trail GR20 !